The Chicago Garage - Does TCG approve? Does TCG approve? Finally some MODS!!!! 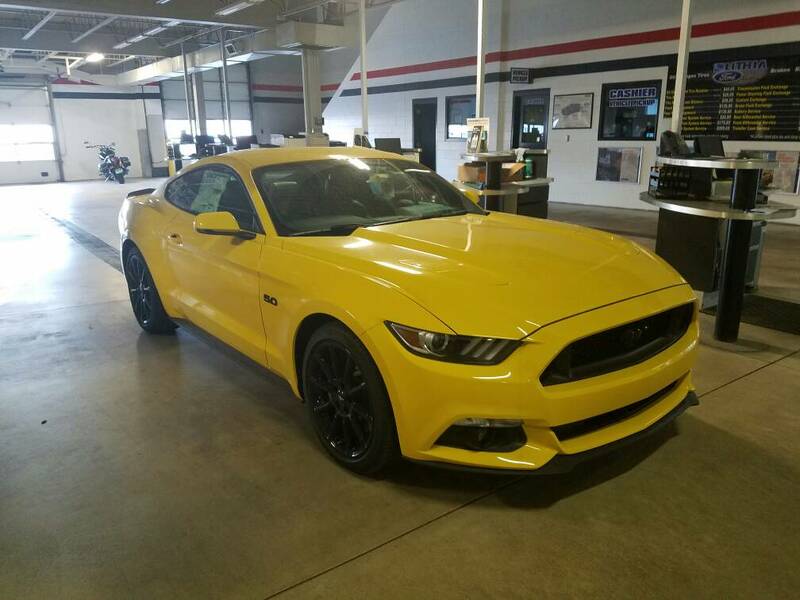 MINE 2016 5.0 auto mustang. im not sold on the body until i drove it. i literally just walked out of the dealership not driving it home because i need to drop off some money tomorrow. im leaving again next year getting deployed i just want to jump in and drive it and if something breaks call me when its done. approve of all of the above, except color. but it ain't mine. Congrats! You will be much happier now. Not a huge yellow fan, but that car wears it well. It's a solid car choice I hope you enjoy it! 100% honest i cant afford a 6th gen ss they are like 10-12k more and i was not sold on this body style until i drove it. yes ill have to eat my own words............ just a little bit. Great purchase, congrats and welcome to the Ford family. You are now the fastest on the road. Nice! Really the last car I thought you'd buy. i'd have done the camaro... 1SS 6th gen can be had for high $30k's. If you want a loaded 2SS then yes its $46k.